"Papers relating to the foreign relations of the United States, transmi"
Annual Message to Congress with Documents; Pres. Hayes. 1 Dec. HED 1, 46-2, v1-12, 9328p. 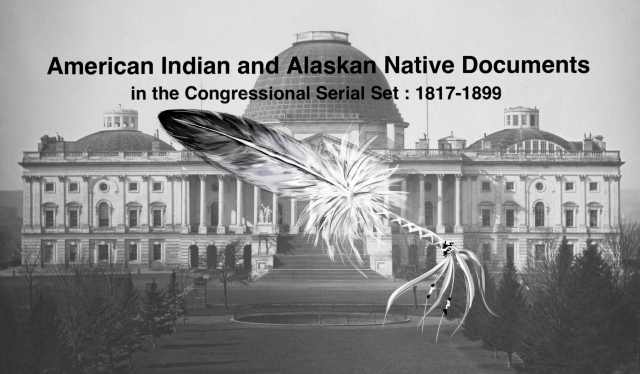 [ 1902-1913] Regulation of uncivilized tribes in Alaska; Ute and Apache hostilities; the "Indian policy" of the government, involving education, allotment. and disposal of unused reservation lands; suggests that Indian Territory may be opened to settlers; annual report of the Sec. of War (Serials 1903-1908); annual report of the Sec. of Interior (Serials 1910-1912); annual report of the Gen. Land Office (Serial1910); annual report of the CIA (Serial 1910), including reports of Supts., agents, and schools; etc.